Casa Loma campus (Student Centre, E Building, main floor) 142 Kendal Ave. 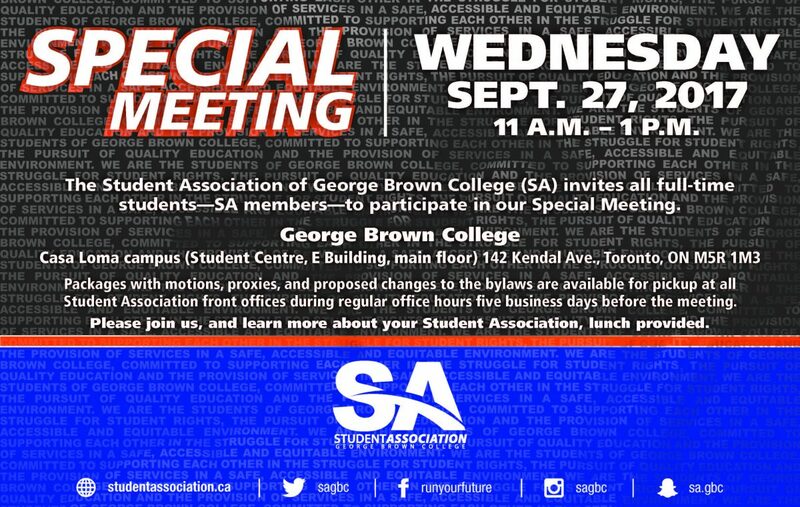 The Student Association of George Brown College (SA) invites all full-time students—SA members—to participate in our Special Meeting of Members. The special meeting package with the agenda, proposed changes to the bylaws, and proxy forms are available for pickup at all Student Association front offices during regular office hours five business days before the meeting. Please join us, and learn more about your Student Association, lunch provided.